Guide price 365,000 - 375,000. 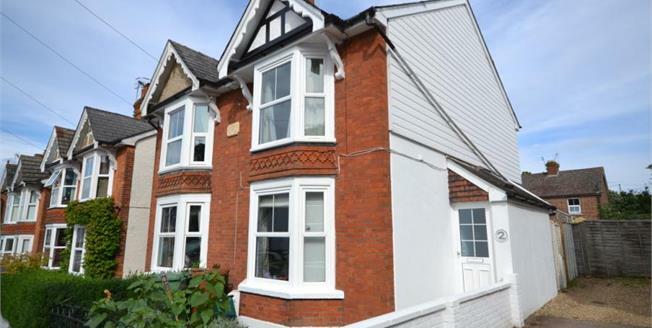 Freeman Forman are delighted to present this two double bedroom semi detached period property, located in Langton Green within reach of the Highly regarded Primary School, Village Green and Public House. The well presented accommodation includes an entrance hall with cloakroom, sitting room with wood burner, dining room and kitchen. Stairs rise from the entrance hall to the first floor landing where there are two bedrooms and a spacious refurbished bathroom. There could be potential to convert the attic into a further bedroom and increase the ground floor space subject to planning. The low maintenance rear garden offers a good level of privacy and seclusion. There is a gas central heating system and double glazing. An internal viewing comes highly recommended.